For those looking for netbook-style sizing and laptop-style performance, the 11.6” category of Ultrabooks is the place to be. It’s not the most active category, that belongs to the 14” segment, but it’s an important one for many. 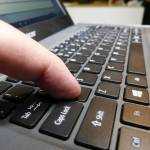 To make an 11.6” Ultrabook though takes skill, leading-edge components and some trade-offs. Battery capacities are generally smaller than in the 13.3” Ultrabooks and screen resolutions must be kept to sensible levels to avoid having to boost font sizes. One the other hand screen backlights take much less power making the 11.6” Ultrabook one of the most efficient there is. In this article I take a look at the options. 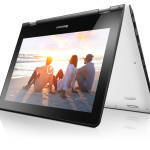 Let’s start with what readers view as the most interesting 11.6” Ultrabooks. We have 8 devices in the database and as of today, only four are available. If we take a look at the ultrathins and alternatives, there are 23 that can be considered. Of the Ultrabooks available it’s clear that the ASUS UX21E and UX21A are the most popular and given no cost restrictions, the UX21A is the one that most people are interested in. It’s stylish, light, has a HD/IPS screen, comes in Core i5 or Core i7 Ivy Bridge versions and improves on the keyboard of the previous generation UX21. There are micro HDMI and Mini-VGA ports to contend with and no removable storage slot. The Sony T11 is the second most popular 11.6″ Ultrabook model and rightly so. In some regions it’s one of the lowest price Ultrabooks there is, undercutting the UX21A by hundreds of $/€. This base version is a Sandy Bridge Core i3 model though and we have to raise a flag on the weight. It’s not the lightest. 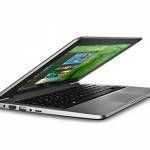 In fact, there are a number of 13.3” Ultrabooks that are lighter. For those needing a card reader and one a the few Ultrabooks that has a replaceable battery, the Sony SVT-11 delivers. It also has a hybrid HDD so if you’re looking for storage space, again, the Sony is a good option over the SSD-only ASUS UX21. Full size VGA, HDMI and Gigabit Ethernet are also included and the battery size is 45Wh. Few reviews exist on the Vaio SVT11 and in fact the only feedback I’ve found on it is from a few customers on Amazon.de in Germany where 4/5 is the going review rate but there is a mention of a noisy fan. You might want to wait for a full review (we’re in contact with Sony) but at this price, it could be worth buying online and sending back if you’re not happy. Any SVT-11 owners out there care to give us a mini-review? For the budget-minded buyer and perhaps someone wanting to upgrade from a netbook, take a look for the Acer Aspire V5 with 11.6” screen and Core i5 Ivy Bridge CPU. It’s the same weight as the Sony but is quite a bit cheaper. It has a much smaller battery though for a max 5hrs usage. Maybe the money saved can be used to buy a few spares! There’s a TravelMate and Aspire One version of this too. Also keep an eye out for these non-Ultrabook models. 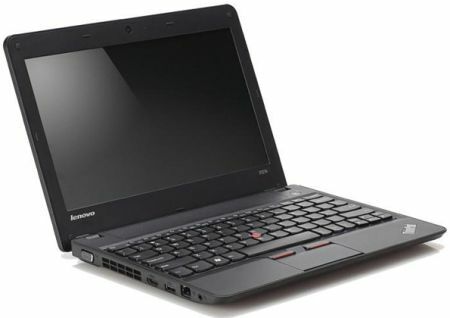 The Lenovo X121e comes in AMD flavor too at competitive prices. Neither is available with Ivy Bridge. Keep an eye out for these products coming soon. 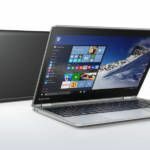 None of these will be cheap (we’re not expecting much below $1000 for any of them) and the three touchscreen models will obviously be targeted towards a Windows 8 launch. The Gigabyte X11 and LuvBook X (from the same original designer and manufacturer) are just appearing in sales channels now and are two of the lightest Ultrabooks available. The lightest Ultrabook on the market today is not the one with the smallest screen size. The Nec LaVie Z is under 900gm in weight beating even the lightest 11″.6” Ultrabook by 10%. Unfortunately it’s only available in Japan or via import and it’s isn’t cheap. Click for a list containing more information, links, pricing, images news and more. What kind of battery life are people getting with the Asus UX21A and Sony T11? Sony claims up to 9 hours like Acer does with their up coming 11.6″ S7. So that smaller 11.6″ screen doesn’t help much when compared to the larger ultrabooks? It’s still 7-9 W? I wonder if there’s much difference in power consumption between a 1080p 11.6″ and a 1366×768 one. I’m interested in 11.6 inch ultrabooks but at this rate I won’t be buying one until next year or later. Ultrabooks in general sacrifice too much for that marginally useful thinness. For now, I’m sticking with fat ultraportables. Yeah, right now, I’m still using regular 11.6″ ultraportables with the occasional extended battery. It still has a smaller footprint than 13.3″ notebooks with the extended battery. At least that’s what I’m looking for. -non-HD resolutions – I still don’t see much progress in resolution independent OS’s. -no discrete graphics – Gaming doesn’t sound fun on 11.6″ screens and whatever could fit in one probably won’t be much better than integrated graphics anyway. -mini DisplayPort – I don’t like mini ports but at least the DisplayPort can be converted to many different video outputs. I’d like at least a Core i5 since it has Turbo Boost. I believe in the whole getting back to idle faster means longer battery life thing. I don’t keep up with AMD vs Intel much but are there any AMD chipsets that provide better battery life with not that much loss in performance? That’s what I’m looking for in an ultrabook as well. Especially since I still plan on using a desktop and a high performance notebook when I need it. I’ll use the ultrabook when travelling and high performance isn’t required. Sony initially claimed up to 9 hours on their T series Ultrabooks, but now on the website it claims 7.5 hours. Intel’s specifications call for 5 hours on a 35WHr battery, and the T13 has a 45Whr one. 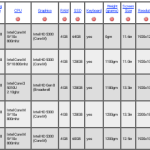 According to Intel’s specs the Sony Vaio T should get 6.5 hours. 9 hours would call for a 63WHr battery. I wonder if Acer is going to change their 9 hour figure when the 11.6″ S7 comes out. I hope their battery life number isn’t as unrealistic as Sony’s original claim since it seems to be one of the better ultrabooks in the category. I, too, really hope Acer’s 9 hour battery claim for the 11.6″ S7 isn’t a pure idle scenario. Right now it seems to be worth buying. One alternative that isn’t in the list above, because it is not a de facto 11.6″ ultrabook, but fits within the contraints of the form factor dimensions, is the Dell XPS 13. It gives you a 13″ screen in an 11.6″ footprint. I bought the Jide Ultra tab/keyboard combo for $199 on Amazon. I had thought it extra heavy after using the Cube T9 for well over a year. At 861 grams it apparently is not any worse than other 11.6″ tabs, and the Remix OS is fresh and new …delivers very well as a Win10 alternative. For the price paid …what can I say!